Talkwalker, a Luxembourg-based social media analytics company, takes a closer look at the social media buzz. It analyses the performance of mentions all over the internet and provides key metrics such as engagement, related themes, demographic data, geographic data and influencer data. Related Hashtags: It’s interesting to know not only what people are talking about, when it comes to dating apps, but also, what else they talk about in relation to these apps. Unsurprisingly, when it comes to Bumble, most of the related hashtags and themes are centered around Priyanka Chopra and Nick Jonas - so much so that there are more mentions of #PriyankaChopra and #NickJonas than there are of #Bumble! 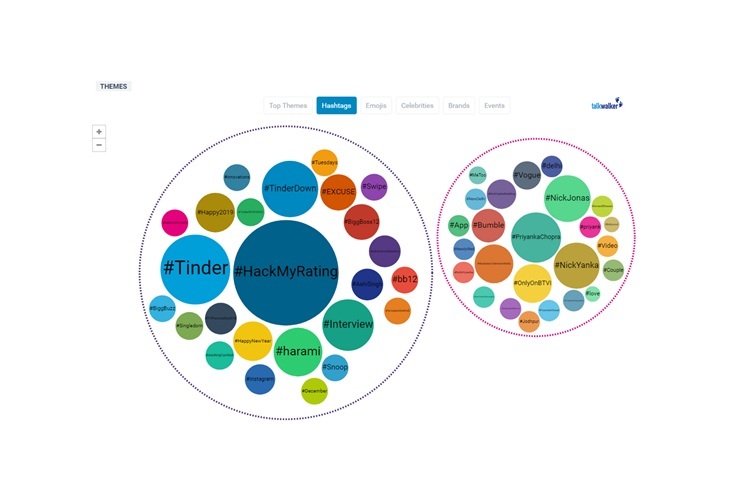 Similarly for Tinder, #HackMyRating has taken over all mentions of #Tinder, following the movement last year where your Uber rating became important when swiping right! India is still relatively new to dating apps and people still don’t talk about it openly. But it’s definitely worth looking at which parts of India are talking about it the most. 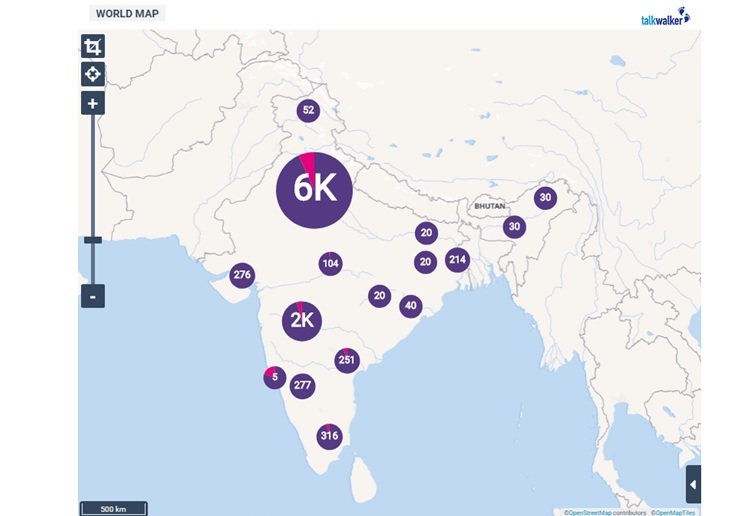 Delhi NCR seems to be ruling the roost with 6k mentions (for both apps), followed by Maharashtra, with 2k mentions, most of which come from Mumbai. Other Tier I cities seem to follow suit with Chennai, Bangalore, Hyderabad, Ahmedabad and Kolkata with a high number of mentions.